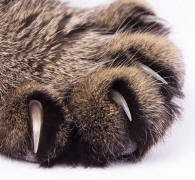 Claws that can be retracted (drawn back) into their protective sheaths. Cats’ claws are protractile, but often (incorrectly) described as retractable. At rest, the claw is retracted; muscular action (contraction) protracts the claw out of, rather than retracts it into, its sheath. The protective sheath is also known as pocket or socket. 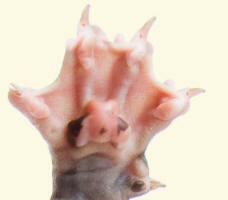 When claws are retracted, they will usually not register.